Create glossy curls with the Balmain Professional 25mm Ceramic Curling Wand, a professional styling tool that produces beautifully bouncy curls. The 25mm barrel utilises ceramic technology to ensure faster heat distribution and even heat conduction, which helps eliminate damaging hot spots found in other curling irons. Designed without a clip, the wand allows you to create kink-free curls, while the protective cool tip keeps fingers safe during styling. 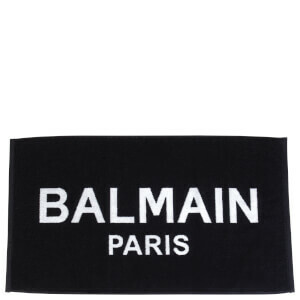 Receive a FREE Balmain Spa Hair Towel 2019 when you spend £45. Complimentary gift will be awarded at the basket. Offer valid for a limited time only, while stocks last.